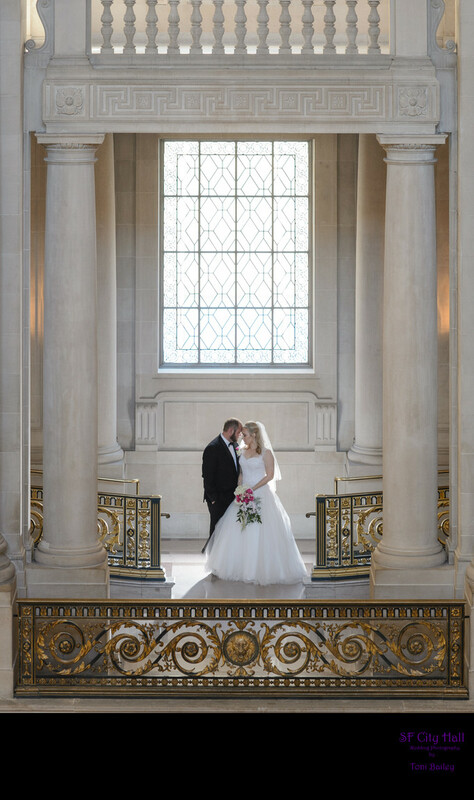 This was a very easy San Francisco city hall wedding photography session. The couple was very romantic and liked to kiss (which they kept doing). Occasionally we work with brides and grooms who don't want to be demonstrative during their city hall photo session. This couple was the best!